Computer Vision Using OpenCV. This article has all the basics you need to get started with Computer Vision. In this OpenCV Python tutorial, we will be covering various aspects of computer vision using OpenCV in Python. OpenCV has been a vital part in the development of software for a long time. 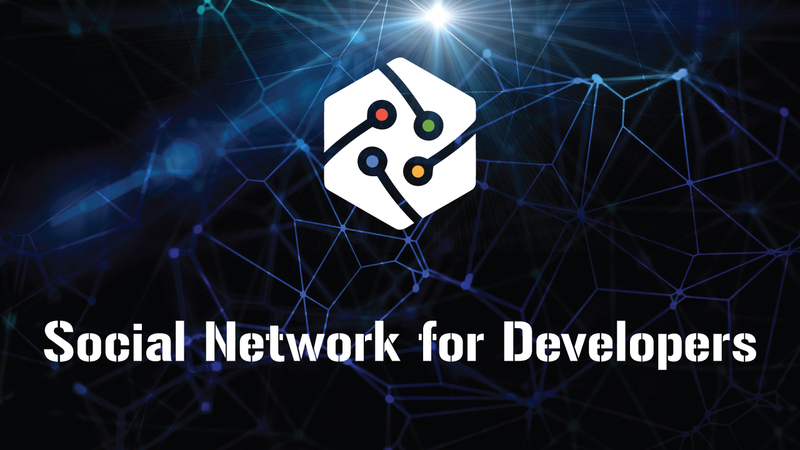 Learning OpenCV is a good way for developers to improve aspects of coding and help them build a software development career. To simplify the answer to this, let’s consider a scenario. Let’s say you and your friends went on a vacation and you uploaded a bunch of pictures to Facebook. But now it’s going to take time to find your friends’ faces and tag them in each and every picture. Actually, Facebook is intelligent enough to tag people for you. So, how do you think the auto-tag feature works? In simple terms, it works through computer vision. The idea here is to automate tasks that the human visual systems can do. So, a computer should be able to recognize objects like the face of a human being or a lamppost or even a statue. 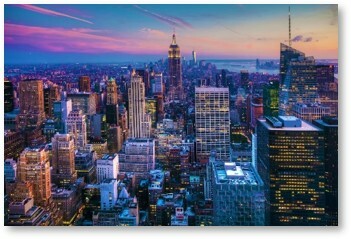 We can figure out that it is an image of the New York skyline. But can a computer find this out all on its own? The answer is no! For any color image, there are 3 primary channels — red, green and blue. How it works is pretty simple. A matrix is formed for every primary color, and later, these matrices combine to provide a pixel value for the individual R, G, and B colors. Each element of the matrices provides data pertaining to the intensity of brightness of the pixel. Note: For a black and white image, there is only one single channel. Now let’s look at what OpenCV actually is. OpenCV is a Python library that was designed to solve computer vision problems. OpenCV was originally developed in 1999 by Intel, but later, it was supported by Willow Garage. It supports a wide variety of programming languages such as C++, Python, Java, etc. Support for multiple platforms including Windows, Linux, and MacOS. OpenCV Python is nothing but a wrapper class for the original C++ library to be used with Python. Using this, all of the OpenCV array structures gets converted to/from NumPy arrays. This makes it easier to integrate it with other libraries that use NumPy. For example, libraries such as SciPy and Matplotlib. Let’s look at various concepts ranging from loading images to resizing them and so on. Later, we can read the image using imread module. The 1 in the parameters denotes that it is a color image. If the parameter was 0 instead of 1, it would mean that the image being imported is a black and white image. 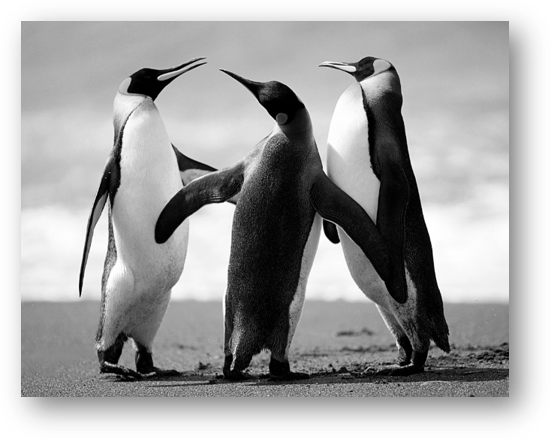 The name of the image here is “Penguins.” Pretty straightforward, right? Here,** the resize** function is used to resize an image to the desired shape. The parameter here is the shape of the new resized image. The rest of the code is pretty simple compared to the previous one, correct? This seems complex at first, but it is very easy. Let me walk you through the entire process, and you will feel the same. Step 1: Considering our prerequisites. We will require an image, to begin with. Later, we need to create a cascade classifier that will eventually give us the features of the face. Step 2: This step involves making use of OpenCV, which will read the image and the features file. So at this point, there are NumPy arrays at the primary data points. 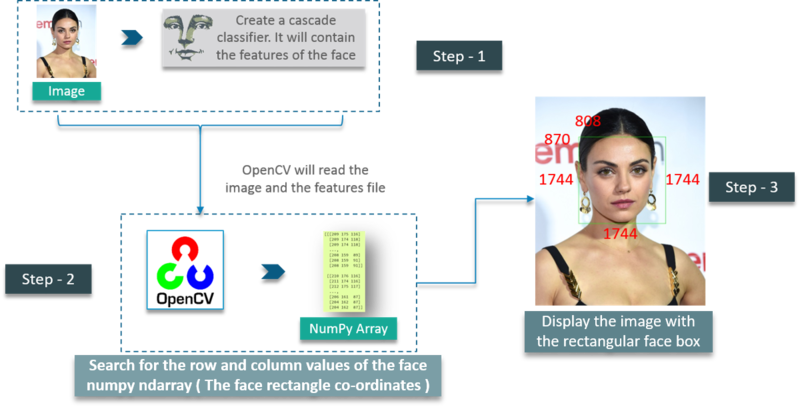 First, we create a CascadeClassifier object to extract the features of the face as explained earlier. The path to the XML file that contains the face features is the parameter here. What coordinates, you ask? It’s the coordinates for the face rectangle. The scaleFactor is used to decrease the shape value by 5 percent until the face is found. So, on the whole, the smaller the value, the greater the accuracy. We define the method to create a rectangle using **cv2.rectangle ** by passing parameters such as the image object, RGB values of the box outline and the width of the rectangle. The images are read one-by-one, hence videos are produced due to fast processing of frames, which makes the individual images move. First, we import the OpenCV library as usual. Next, we have a method called VideoCapture, which is used to create the VideoCapture object. This method is used to trigger the camera on the user’s machine. The parameter to this function denotes if the program should make use of the built-in camera or an add-on camera. ‘0’ denotes the built-in camera in this case. Looking at the above code, we have a new line called time.sleep(3). This makes the script stop for 3 seconds. Note that the parameter passed is the time in seconds. So, when the code is executed, the webcam will be turned on for 3 seconds. 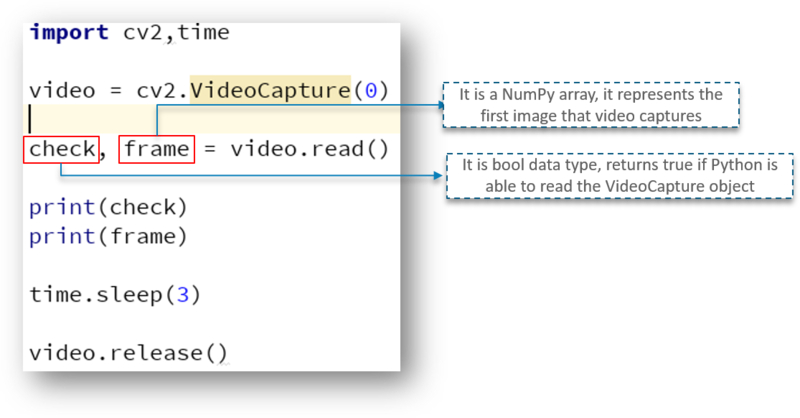 Here, we have defined a NumPy array that we use to represent the first image that the video captures. This is stored in the frame array. We also have check. This is a boolean datatype that returns True if Python is able to access and read the VideoCapture object. As you can see, we got the output as True and the part of the frame array is printed. 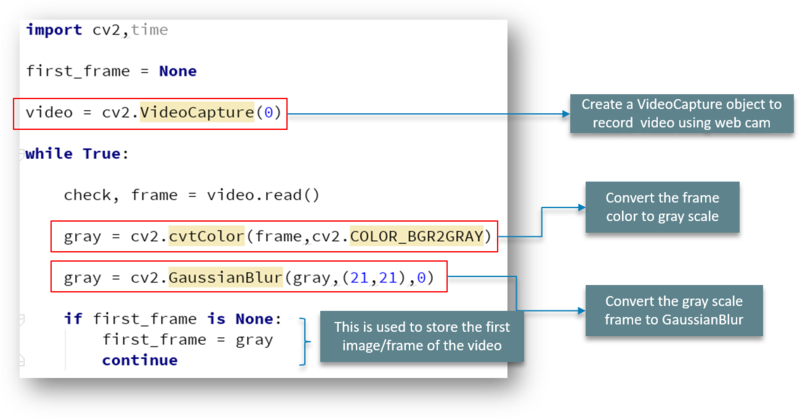 To do exactly that, we need to first create a frame object that will read the images of the VideoCapture object. All this while, we have tried to capture the first image/frame of the video. In order to capture the video, we will be using the while loop. The while condition will be such that unless ‘check’ is True, then Python will display the frames. It is important to note that the while loop is completely in play to help iterate through the frames and eventually display the video. You have been approached by a company that is studying human behavior. Your task is to give them a webcam that can detect motion in front of it. This should return a graph, and this graph should contain how long the human/object was in front of the camera. The next step involves converting the image to a Gaussian blur image. This is done to ensure we calculate a palpable difference between the blurred image and the actual image. At this point, the image is still not an object. We define a threshold to remove blemishes, such as shadows and other noises in the image. Borders for the object are defined later and we add a rectangular box around the object as we discussed earlier on in the tutorial. 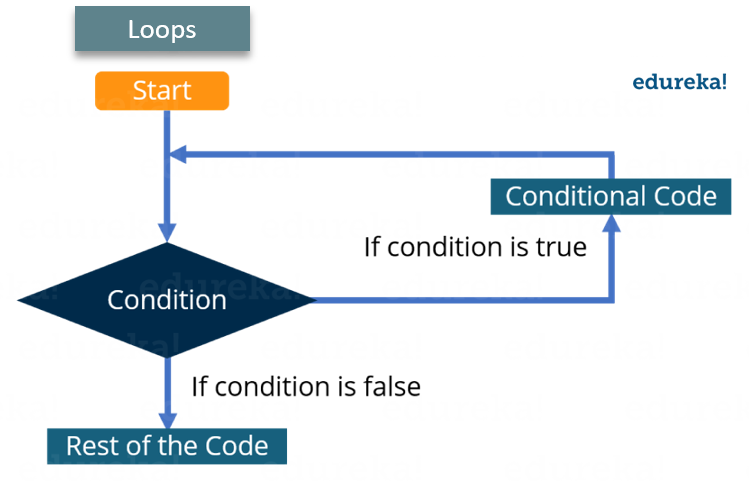 The while loop iterates through the individual frames of the video. We convert the color frame to a grey-scale image and later convert this grey-scale image to Gaussian blur. The threshold function provides a threshold value such that it will convert the difference value with less than 30 to black. If the difference is greater than 30, it will convert those pixels to white color. THRESH_BINARY is used for this purpose. 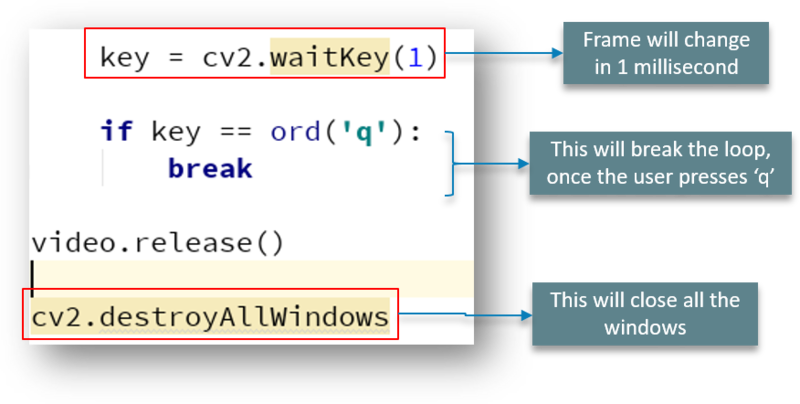 As discussed earlier, the frame changes every 1 millisecond, and when the user enters ‘q’, the loop breaks and the window closes. One thing that remains with our use-case is that we need to calculate the time for which the object was in front of the camera. Followed by that is the VideoCapture function we explained earlier. But here, we have a flag bit we call status. We use this status at the beginning of the recording to be zero, as the object is not initially visible. We store the time values in a DataFrame as shown in the above explanatory diagram. 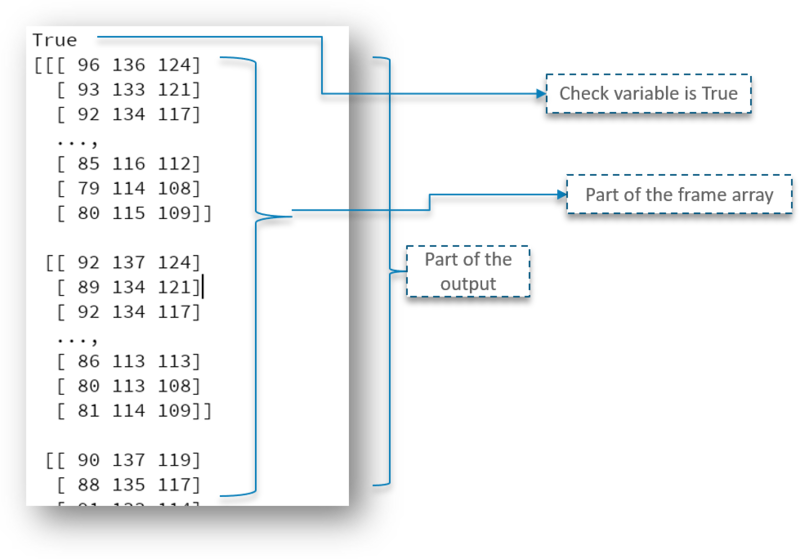 We’ll conclude by writing the DataFrame to a CSV file as shown. The next step involves converting time to a readable string format, which can be parsed.